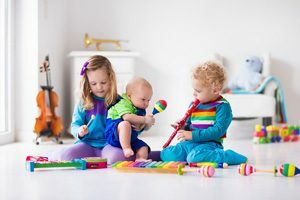 We believe educating your child includes a well-rounded curriculum of music classes, dance classes, cooking projects and field trips. We believe that an education that centers around experiences and excitement is the best way for a child to learn. While many daycare centers traditionally offer playtime and enhanced care services without a stronger emphasis on curriculum, our primary objective is and has always been to enrich and enhance the life of every child. Through our varied programs, your child (or children!) will learn very important life lessons right from the beginning. They will learn to be independent, while also learning about teamwork. They will learn the value of leadership, support, emotional responsibility, sharing, and more. 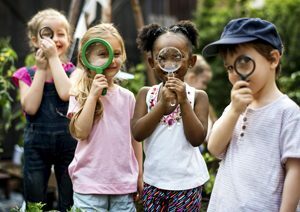 At First Path Day Care Center, we have designed our curriculum to encompass many areas that will spark their imagination, encourage curiosity, and make learning fun so your children will be versatile and fully enriched. Over the years our parents have been delighted with the growth and nurturing that their children experience as part of their time with us, and were gracious enough to provide us with testimonials. We promise that as a parent considering First Path Daycare Center, you will be delighted with us too! Interested in learning more, or maybe a tour through our facility?